Unspun‘s been in many hotels, even the ones he can’t afford. Usually he and a few of his cheapskate friends would go there for tea and ask to see the rooms. The Aman and other resorts and fallen prey to such cheapskatery. 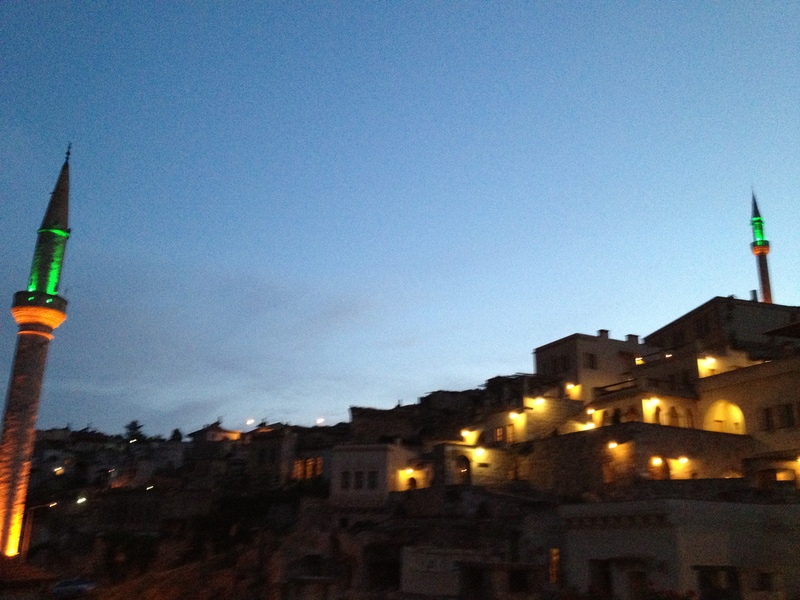 But of all the hotels Unspun’s seen none has been so captivating and enchanting as the Argos in Cappadocia. On a recent trip to Turkey the Unspuns and extended family members stayed at the Argos and it was simply the best hotel ever that Unspun’s lived in, let alone seen. The Argos whispered of understated elegance, simplicity and elegance combined with an attention to detail that leaves you visually sated. 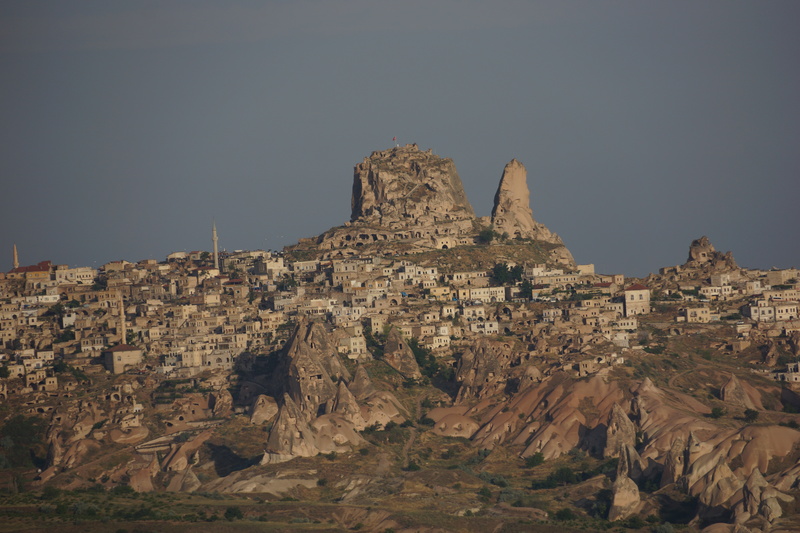 The Argos is located in Uchisar, a village in Capadocia that is known for its fairy chimneys and moonscape-like terrain, caused by wind erosion over thousands of years. 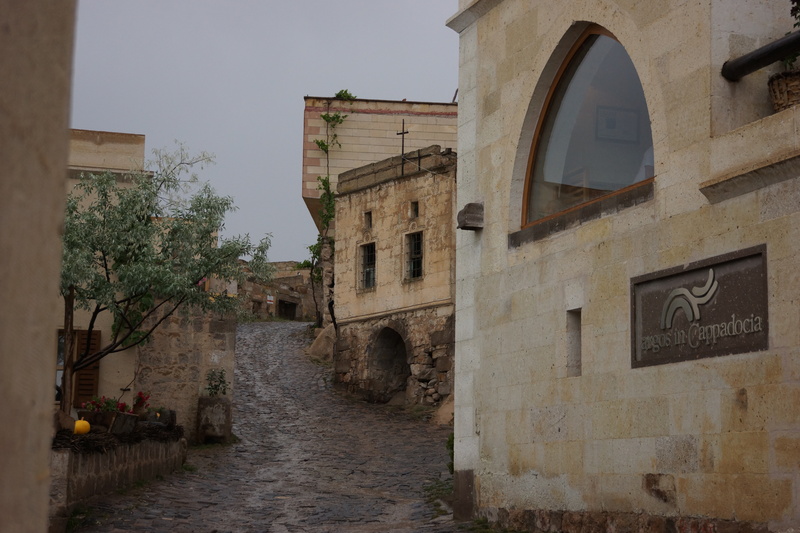 The volcanic rock was also easy to dig into and for thousands of years, until recently, Hittites, Christians and Cappadocians have been hewing cave houses in the rocks. 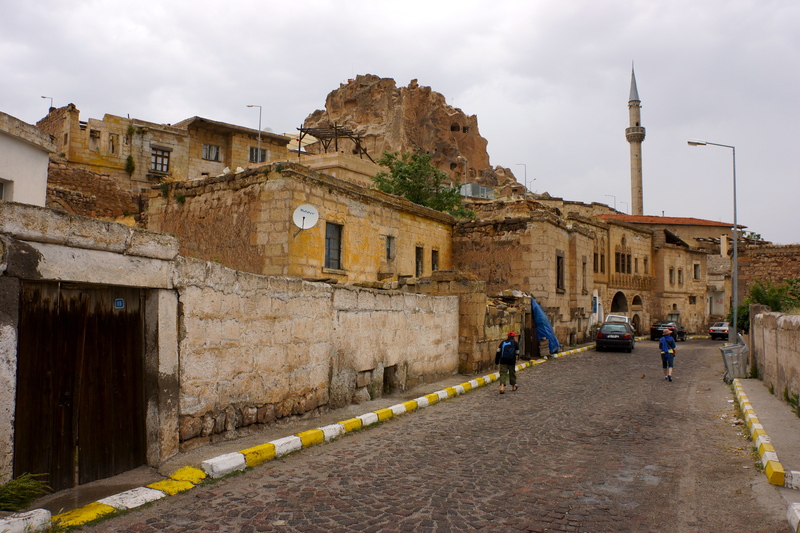 Uchisar is a charming village with a couple of mosques, a plaza of sorts and topped by a huge rock called The Castle. The Argos is on the side of Uchisar that overlooks a volcanic mountain Mt Erciyes and Pigeon Valley. If you are an amateur photographer like Unspun, you begin to get visually stimulated as you approach the Argos via a cobbled street among rustic looking houses. 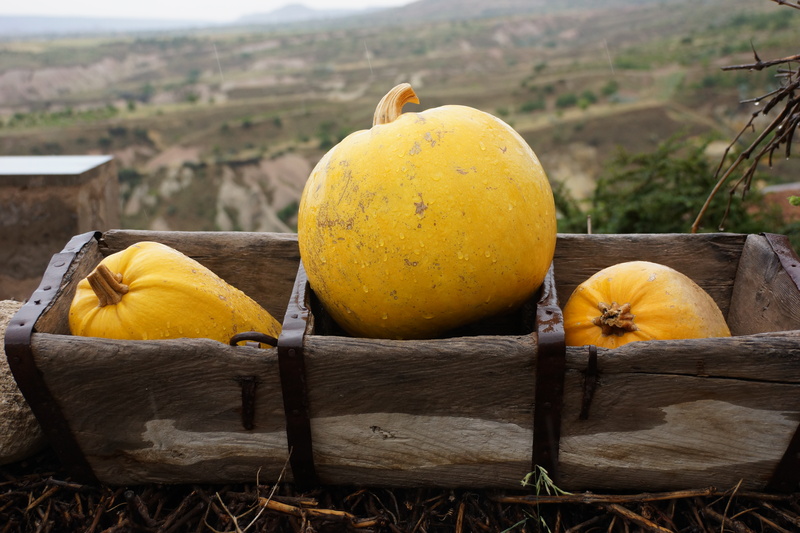 At the entrance to the reception vibrant yellow pumpkins lines the stairs and inside the decor of antiques, wooden floors and spacious yet cozy layout. 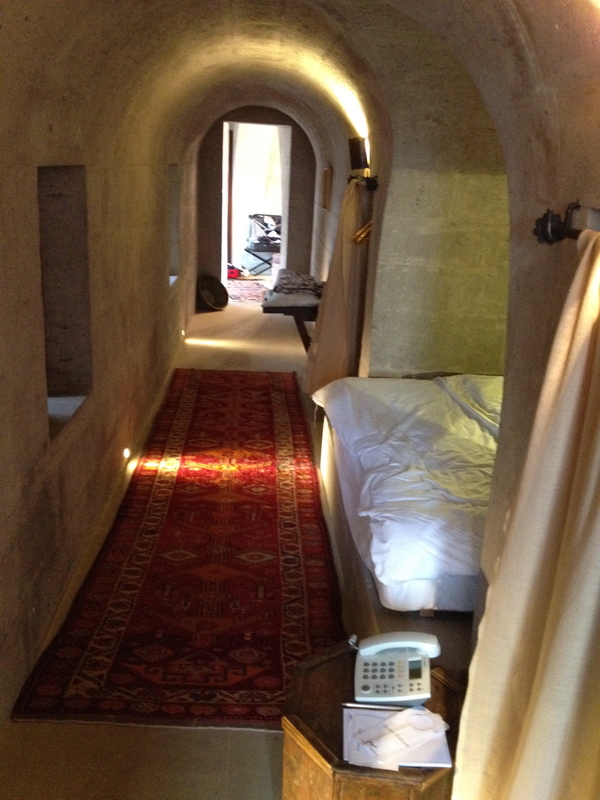 Our rooms were on the opposite side of the cobbled road. You enter through an old women door. 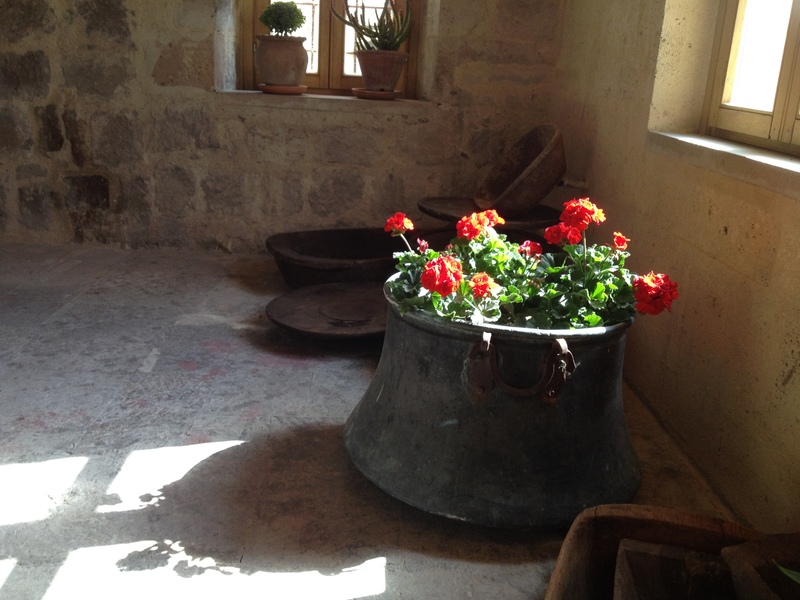 A small antique window is on your left, you go up the stairs and you see a courtyard. On one side is a table of six inside a pergola. 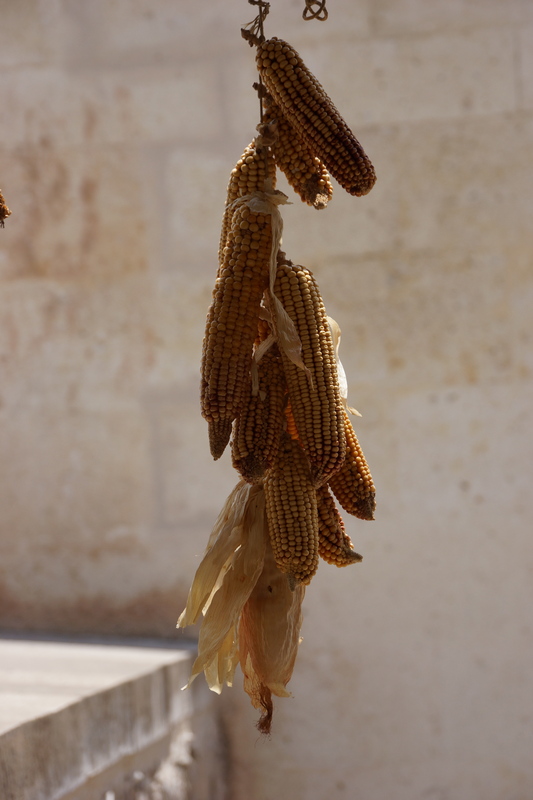 Drying corn cobs are hung from its arches. 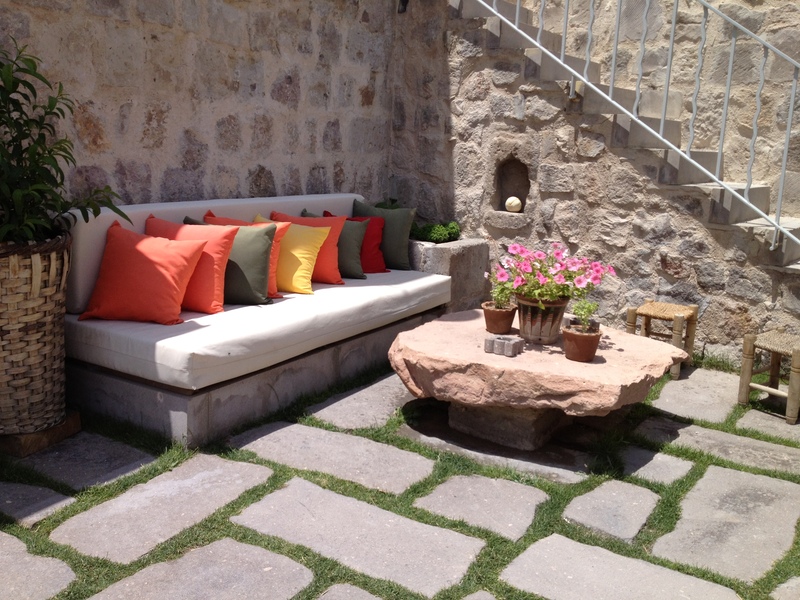 Outside are a couple of rattan recliners, a huge sofa with brightly colored cushions and a small square fountain. 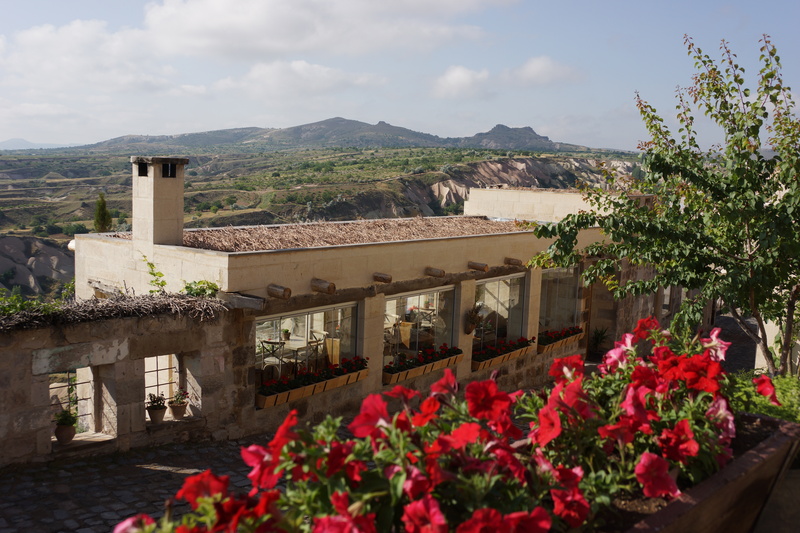 Go up again and there is another courtyard that overlooks Pigeon Valley and its many fairy chimneys. Our room was there. 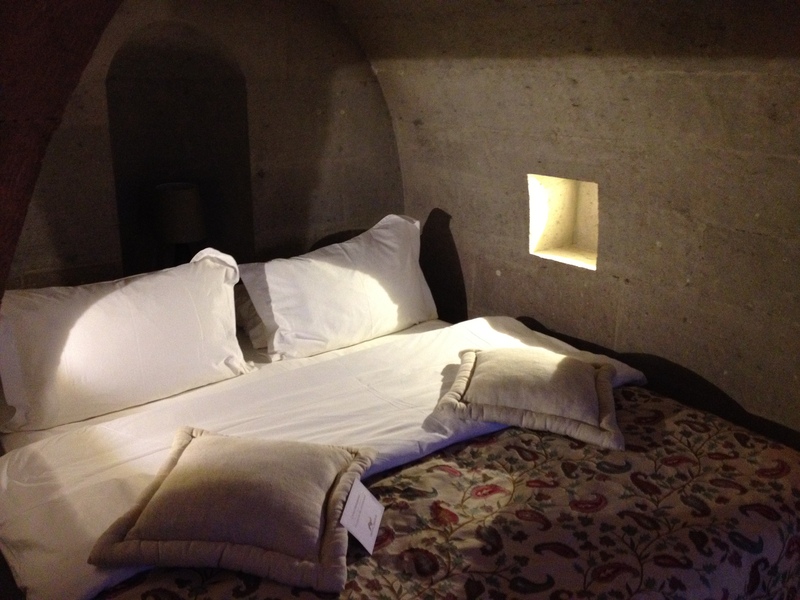 On entering the room you see the double bed in an alcoves cut into the mountain wall. 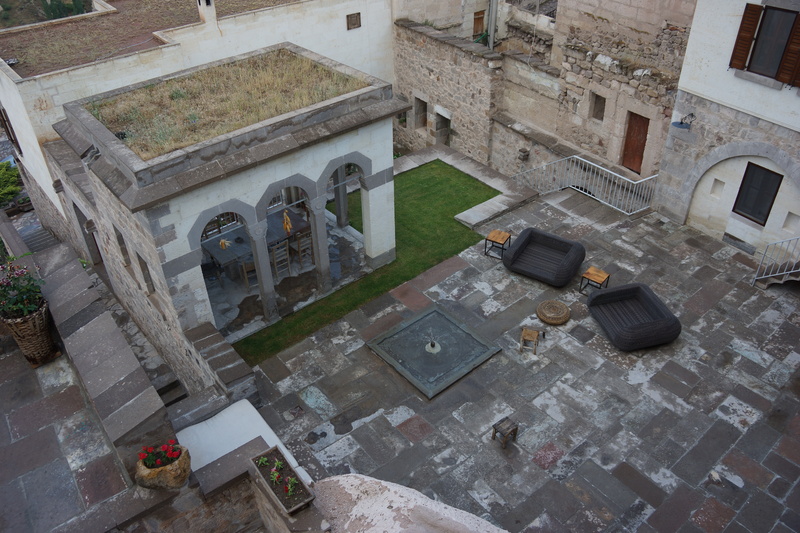 A corridor leads you to a sitting room with a view of Pigeon Valley and the courtyard below. 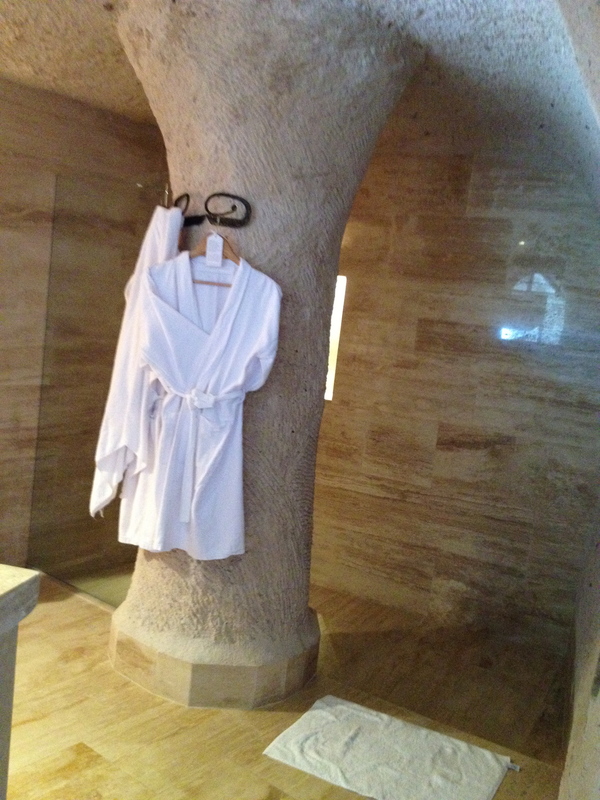 Next to it is a bathroom, also hewn into the mountain face that makes you feel like you want to shower till you look like a prune. 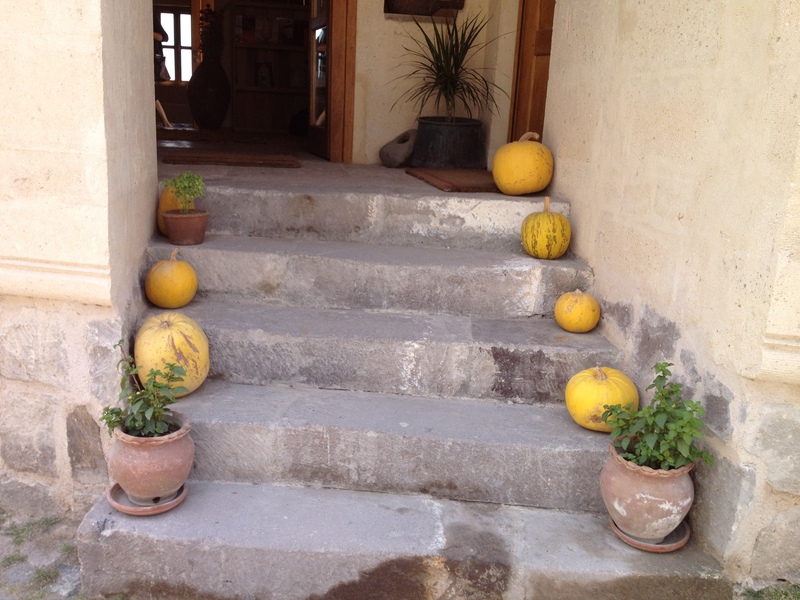 When you walk around the hotel you are constantly surprised at virtually every corner with little touches – drying twigs piled on rocks here, small bunches of potted plants there, old horseshoes nailed to another wall, a burst of red flowers in volcanic rock pots elsewhere. 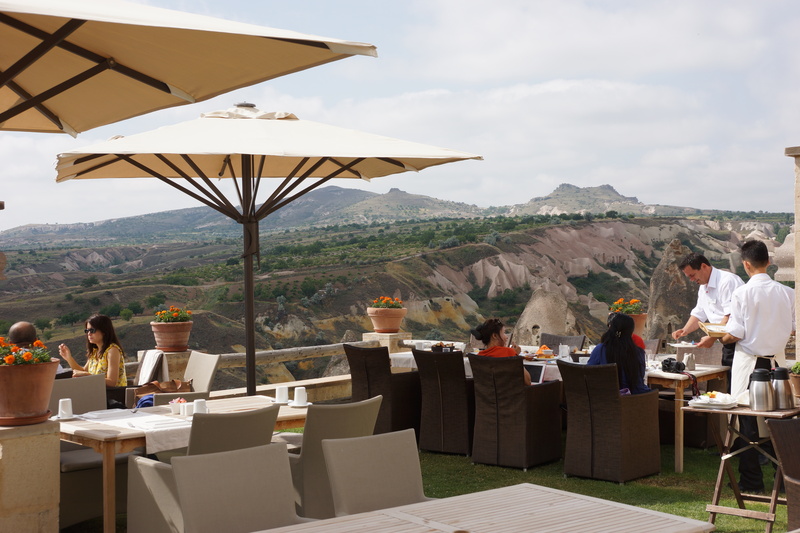 Then there is the patio where you have your breakfast. Being summer, the weather was perfect. Every morning there we would sit in the patio with Pigeon Valley laid out before us. 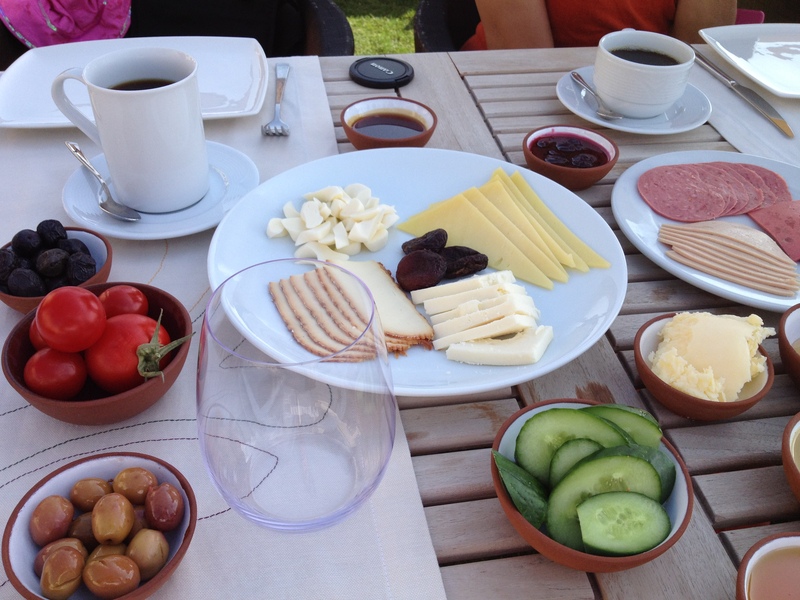 They would serve a Turkish breakfast – olives, tomatoes, cucumber, simit (a kind of bread), cheeses, jams. Then would come the omelets, coffee, freshly squeezed orange juice…you get the idea. And all the while there is this heartbreakingly beautiful scenery drenched in sunlight before you. 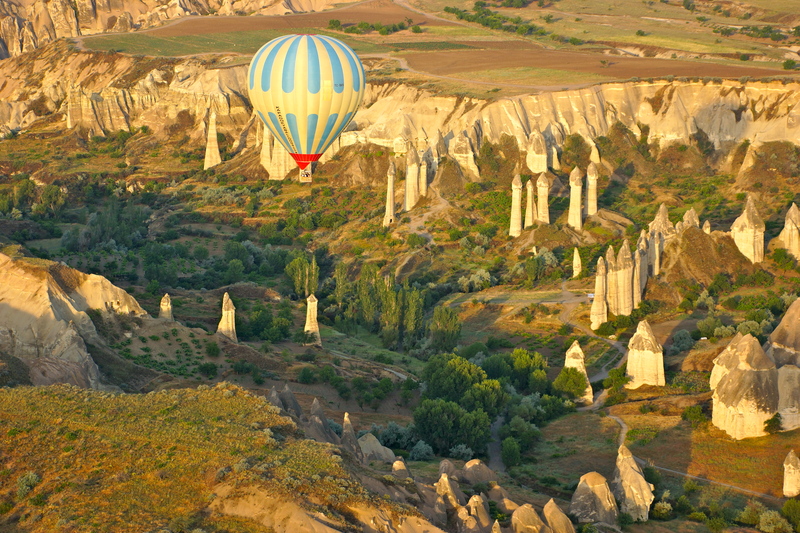 Pigeon Valley is also where you can go hot air ballooning. 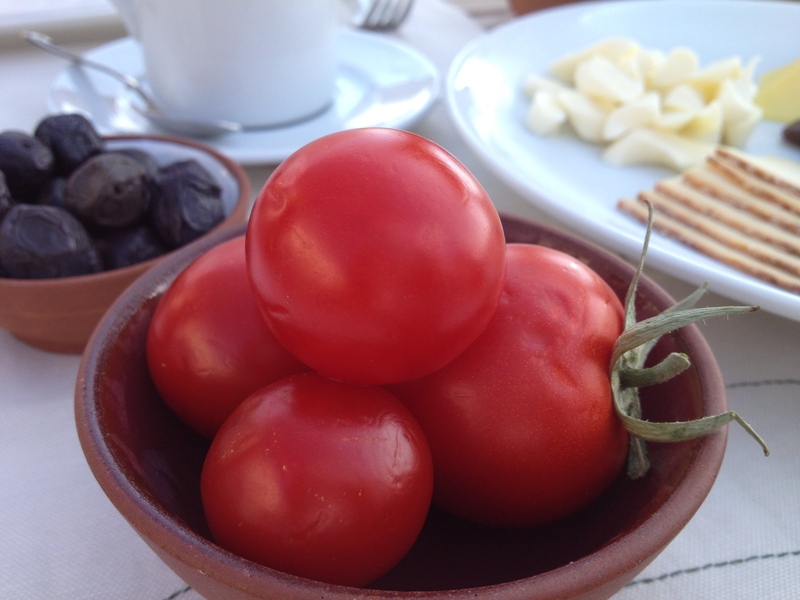 A hot air balloon trip starts at 4.30am when a driver picks you up from the hotel and takes you to their office where you have – surprise – a Turkish Breakfast (although not as good as the one at the Argos) before putting you on a balloon. 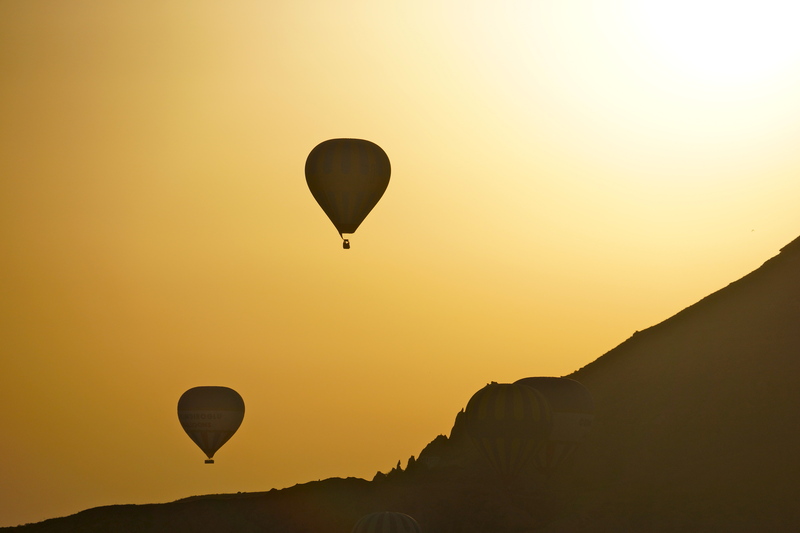 At just about when the sun rises, your balloon takes off – together with what seems a hundred or more of them. The tourism in Turkey is so hot, any destination attracts thousands of tourists at any one time. 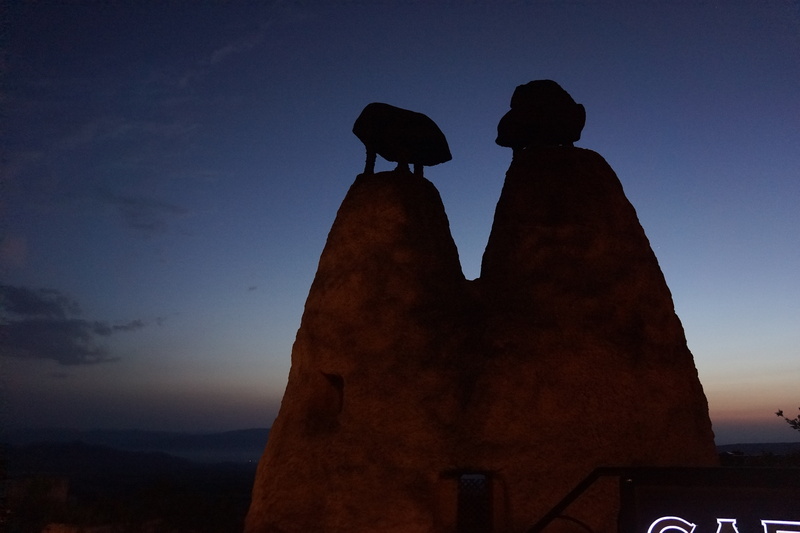 Ballooning in that area is particularly a treat because the balloons hover over the moonscape like terrain and dip into the valleys, all alit in the glow of sunrise. After that we couldn’t wait to get back to the Argos again, just to immerse ourselves in it earthy aesthetics and to discover new nooks and corners that continue to surprise the eyes.